The laser is a high energy density process that provides a unique welding capability – maximum penetration with minimal heat input. 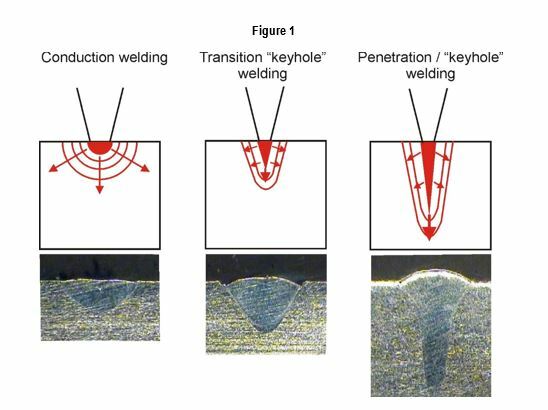 There are three basic weld modes, which correspond to the level of peak power density contained within the focus spot size: conduction mode, transition keyhole mode, and penetration or keyhole mode. Figure 1 is a graphic illustration of the three weld modes.